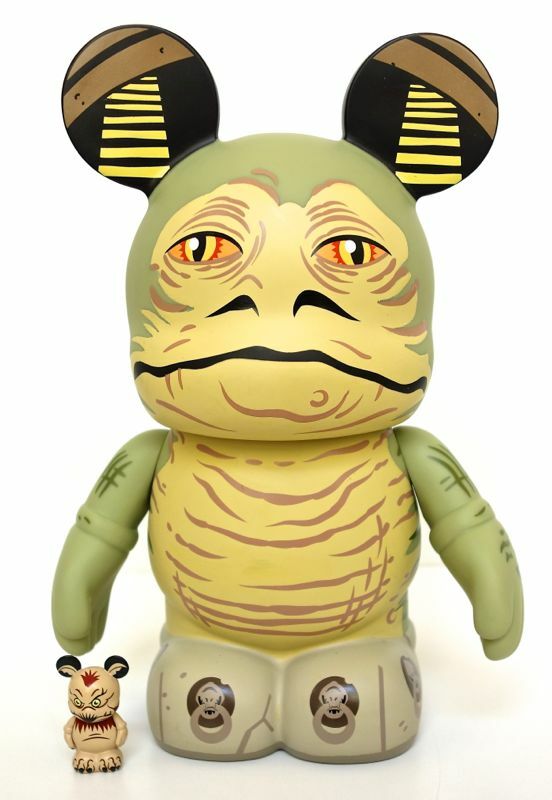 I posted recently about some Jabba-related figures from Series 3 of Disney’s Vinylmation figures, but of course for a Jabba collector such as myself, this big guy is the real star of the show. While he shares the same body shape and concept as the smaller figures, Jabba is a 9 inch jumbo figure that retails for $59.95. It seems to be made of a different material than the little figures. While the little guys are fairly dense and heavy for their size, this one is rather light and seems softer. 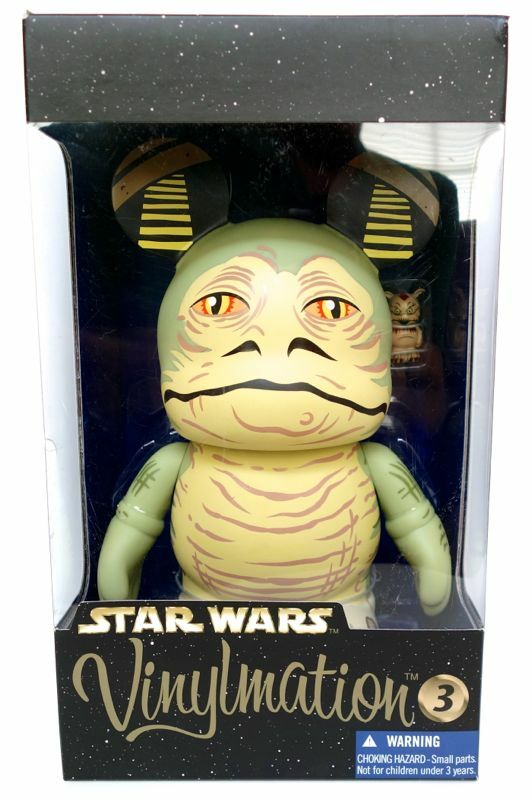 He comes with a 1.5″ tall figure of Salacious Crumb. To me, he seems too small to be in scale with Jabba. But the bigger issue is that Jabba seems much too large to be in scale with the other figures in the line. I can understand making Jabba bigger than the other characters, but this just seems way too big. Maybe a 6-inch figure would have worked better than a 9-inch one. 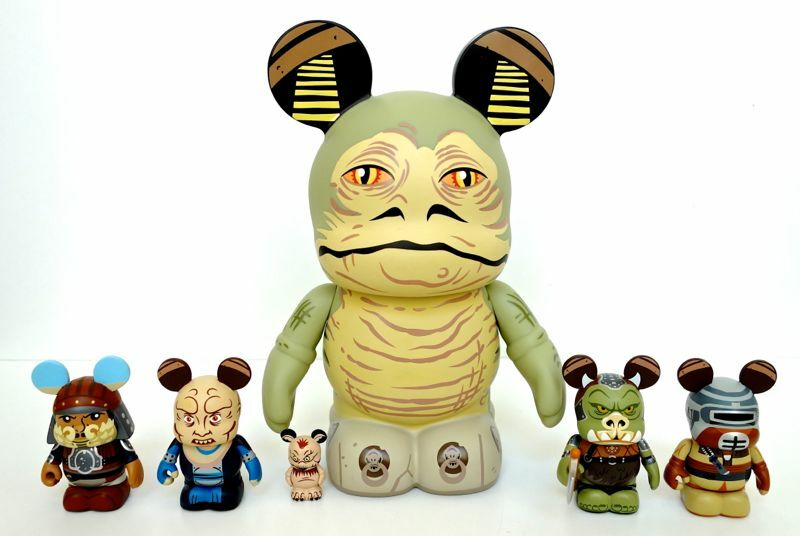 And if they were going to not worry about scale, then I think Salacious should have been the same size as the 3-inch figures to look better next to Jabba. The design is also pushing it a bit when the likeness is concerned, but there’s only so much you can do when you have to use a Mickey Mouse-shaped body. 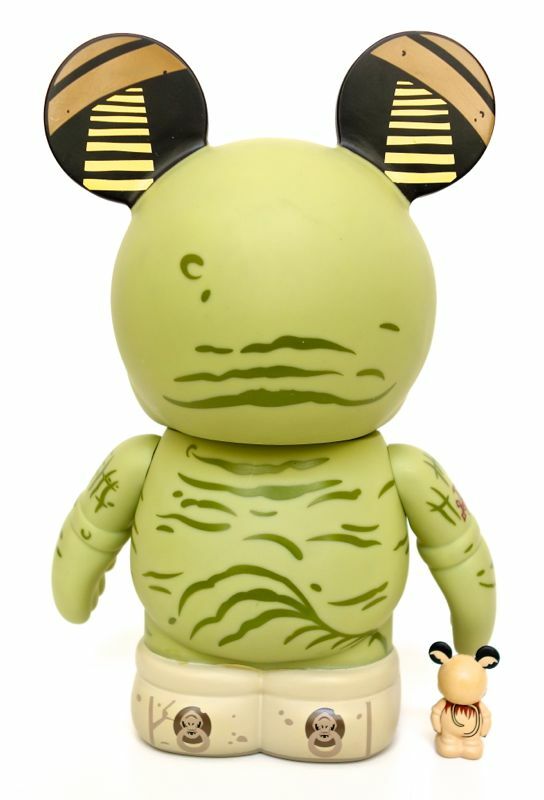 I guess we’re supposed to assume that Jabba’s tail is trailing behind him, and of course the “feet” of the figure are meant to be Jabba’s throne. On the ears, we can see Jabba’s iconic archway. Overall, it’s certainly something that I am happy to have in my collection, but it’s also a little weird. It guess it’s kind of symbolic of Disney’s recent purchase of the Star Wars franchise, as well.